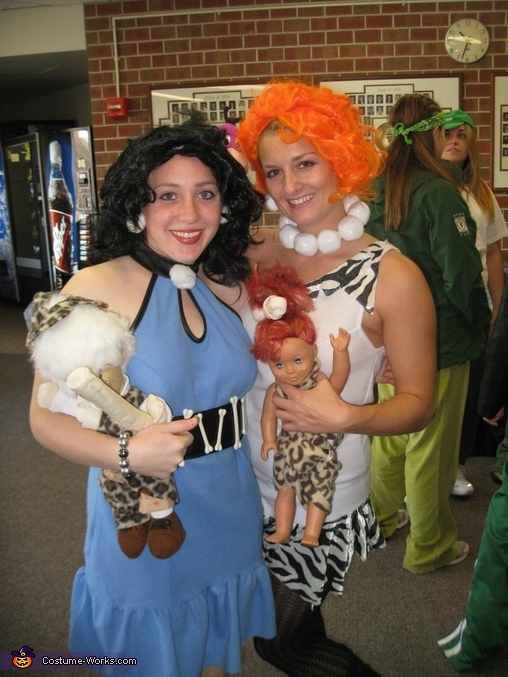 This homemade costume for groups entered our 2010 Halloween Costume Contest. Here is the Flintstone family including me, Dave, Sarah and Erich. We are all vet students. My family made the car, so I brought it to school for Halloween festivities.